Sarah works as a front office assistant and sterilization tech. 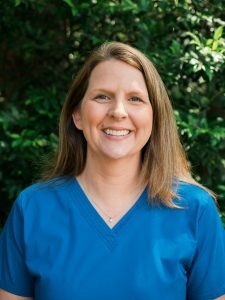 She graduated from Augusta University with a degree in kinesiology, and has been using that knowledge to make our practice a better place for the past five years. 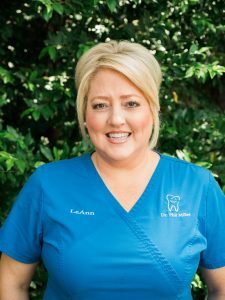 She is married to her husband, Bradley Logan, and loves interacting with the patients we get in our office. Our schedule would be chaos without a good appointment coordinator, and Laura certainly fits the bill. With a degree in business, she is not only organized and competent, but also great to talk to. On top of scheduling, she guides patients through their treatment options and pricing plans. For all of our patients and their parents, she is an invaluable resource. Laura is fairly new to Georgia. Before this, she lived in Ohio, Indiana, and Michigan. No matter where she is, though, autumn is her favorite. It might be the football season that comes with it. It might be the gorgeous Georgia leaves and the cooler weather. It might be all of the above. Either way, Laura loves spending the days of autumn with her family and friends. Together they keep up with those football games, head out to the beach, or travel. Vicki is our appointment manager, and has helped to keep us on the ball for seventeen years. She runs a tight ship, as she keeps the back of the office up to date with the front, keeps tabs on the appointment book, and greets patients as they walk through the door. She loves her job. 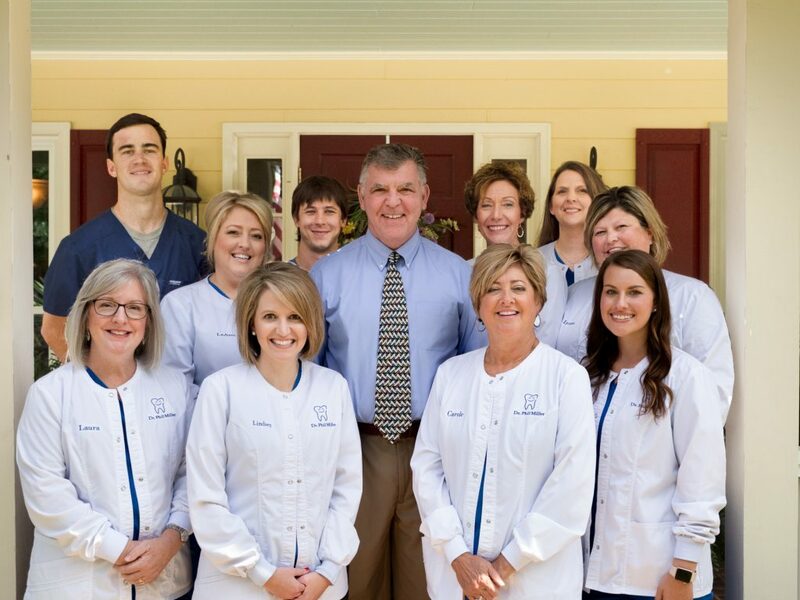 It’s more like a family than a business, and that feeling of camaraderie certainly translates into the comfort and welcome that each patient feels as they step into the office. Speaking of family, Vicki has a husband, four children, and eight grandchildren to keep her busy while she’s home. Family and traveling are her primary passions in life. Chrissy has been an administrative assistant with us for eleven years. She graduated with a degree in business management from Brenau University, and has certainly brought that valuable knowledge to bear in her time at our office. She has a vibrant energy and sincere compassion which makes the front desk a place where patients can feel comfortable and welcome. Chrissy also enjoys working behind the scenes, making sure that everything is running as it should be. A well-oiled machine is going to be all the more able to positively affect the patients it serves. 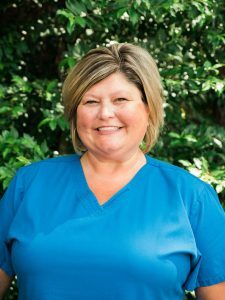 Outside of the dental office, Chrissy channels that energy into traveling, attending church activities, and spending quality outdoor time with her two sons who are now ten and twelve years old. Charles is an operation and sterilization assistant for our office. 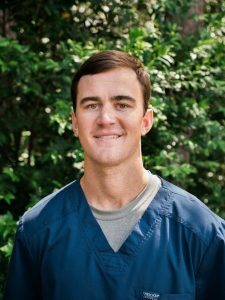 He started working for us in May of 2018, and has been gaining valuable experience that he will go on to use as a future dentist. 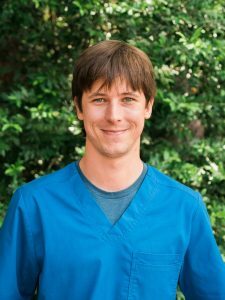 He loves assisting Dr. Miller, and finds his interactions with the patients and staff at Augusta Pediatric Dentistry to be both fulfilling and formative. He’s gotten an education from the Georgia Institute of Technology, Georgia Perimeter College, and Georgia Southern University. From here, he plans to enter dental school. Outside of dentistry, Charles enjoys sports. He played baseball during school and continues his love for activity through basketball and golf. He also loves spending time deer hunting in the great outdoors. 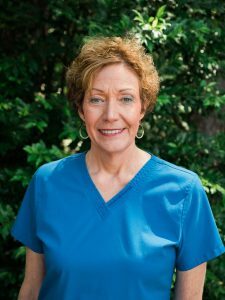 Lynne graduated from the dental assistant program at Aiken College. She’s been working for us as both a dental assistant and a lab technician for ten years. And it doesn’t end there! 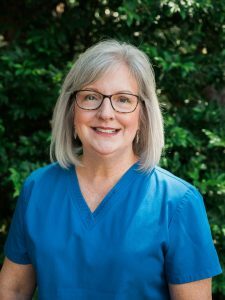 Lynne also helps to educate both our patients and their parents in good dental health practices, so that they can keep their teeth stronger and healthier. She is in this industry to help people. When she’s not changing the world through her chosen profession, Lynne enjoys watching college football. She’s a Georgia fan through and through. She also spends a lot of waterside time with her family, friends, and dog. Whether it’s a beach, a lake, or a pool, she’ll be there. Leann is a hygiene assistant who has been with us for eight years. Uniquely, some of her duties involve checking our social media accounts, interacting with online users, and overseeing our marketing and communications. 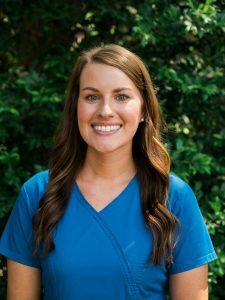 She graduated from Augusta University and loves working in the dental industry, where she can see kids’ lives get happier and healthier as their teeth are treated. Her own daughter, Abby, is a junior at UGA now. The family left at home includes Leann’s husband Kevin, and their best doggy friend, Sophie. Together, the three of them keep up with college football. Leann also likes to shop, cook, decorate, and travel. Carole has been with us for thirty-nine years! We couldn’t get along without her vast experience and love for learning. 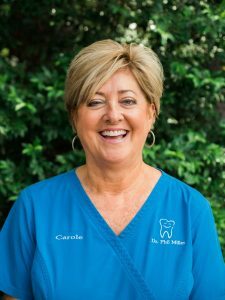 Outside of learning every single day, the thing Carole loves best about working in a dental office is changing people’s lives. As our orthodontic assistant, she does this by healing and repairing smiles. She truly cares about each patient who comes through, and does her best to give them the healthy mouth they deserve. Carole is the grandmother of a brand new granddaughter named Mary, whom she very much adores. Her goal is to be the best grandma ever. She also loves cooking, gardening, and getting in plenty of beach time at Fripp Island. 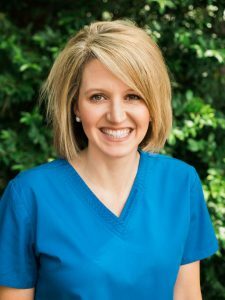 Lindsey graduated from the Medical College of Georgia with a bachelor’s degree in dental hygiene. She’s been doing dental hygiene work with us for six years now. Lindsey stays up to date with all of the latest news in the dental community, making her work top-quality. She says the best part of working as a pediatric dental hygienist is helping kids. Seeing the smiles on their faces when they’ve had a great dental experience is extremely rewarding. Lindsey’s favorite people in the world are her husband Preston, her daughter Harper, and their dog named Hoyt. She loves to spend time with them, especially lakeside or around the pool. She also enjoys shopping, cycling, and attending her ladies’ Bible study group. Addison has been a dental assistant with us for ten years and counting. During this time, he has proven invaluable not just as a competent assistant, but as someone who really connects with kids. Many of our small patients have had negative past experiences with dental offices, or are simply afraid of the unknown. Addison is great at helping them feel comfortable in our pediatric office. When he’s not working with our little patients, Addison is spending time with his own two kids: John, who is ten, and Willow, who is eight. Both with his family and on his own, he loves books, swimming, photography, and going to concerts.